A few years ago, Seattle’s Liberal leaders thought it would be a great idea to raise the minimum wage. The goal was to push it up to $15.00 per hour. The idea was to accomplish this task in phases. And, in December of 2014, they also commissioned a study from the University of Washington to quantify what they apparently thought would be positive results showing how great a higher minimum wage is for everyone. The wage started rising on its phased schedule and as data became available, the research came in and the study began to take shape. When the wage hit the $13.00 mark, it became clear the the University of Washington study was not going to validate the Liberal ideology behind the raising of the minimum wage. 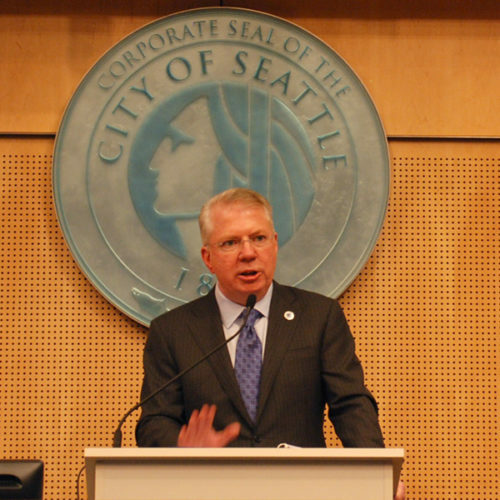 The inconvenient study results were presented to Seattle’s Mayor and a timeline was established for the release of the results publicly. What the study confirmed, even a high school economics student already knows; that raising the minimum wage does not, in fact, help low income workers, it hurts them. Why? Business owners cannot afford to keep as many employees on the payroll at the higher rates and so jobs are lost. And money is lost as well. The UW study discovered that low-wage workers were not gaining money, they actually experienced a net loss. The average low-wage employee gained $54 per month in higher earnings due to the $3.53 per hour increase that was part of the second phase. But overall, Seattle’s low-wage workers lost $179 a month because of job losses and fewer hours worked. That equals an average $1,500 a year loss. So, upon hearing that the study was going to reveal the bankruptcy of Liberal economic theory, what did Seattle do? They commissioned a NEW study from some folks they knew to be all in when it comes to raising the minimum wage. AND they gave this new outfit a deadline to complete their study, BEFORE the results of the UW study were scheduled to be released, giving the public impression that the newer study was the “real” study and therefore the accurate study. The problem is that the UW study used several years of data to reach its conclusion. The new study? It was slapped together in a short time with a foregone conclusion likely bought and paid for by Seattle’s Liberal leaders and released a week before the UW study. Of course the new study paints the minimum wage hike as wonderful and beneficial for low wage earners. The problem is that’s a lie. Just ask the workers affected, who have either lost their jobs, or had their hours dramatically reduced. When Liberals don’t like the outcome of a situation, they simply lie and create the outcome they desire, one that not so coincidentally agrees with their flawed Utopian do-gooder ideas. But economics 101 doesn’t lie. Hiking the minimum wage to ridiculous amounts only hurts workers. And while those workers lives burn down, as they make less money or lose their jobs, Seattle’s leadership fiddles, wrapped snugly in their smug ignorance. Time for the leaders to work some of these jobs themselves so they can see how their ideas just don’t work in real life. Time to get real. And time to see what Seattle’s Mayor Ed Murray knows about this situation.